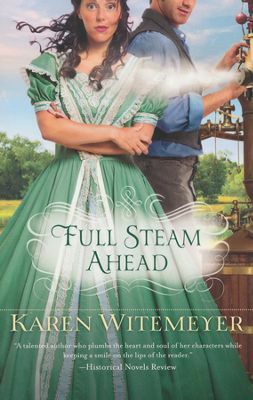 Just in time for summer, Full Steam Ahead is the perfect mixture of romance, adventure, and loveliness to add to the top of your MUST READ list. 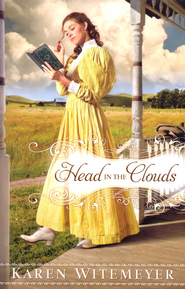 I enjoyed this book from Karen Witemeyer so much that I easily read it in one day! I only wish I had taken the time to savor it! In Full Steam Ahead, Nicole Renard is on a mission to save her family’s business and legacy. She sets out to find not only the love of her life, but also an heir to take over her father’s shipping company. When her plans are deterred by those that mean her and her family harm, she stumbles upon Darius Thornton who is on his own mission, but his is one of self-imposed penance. The unlikely pair rescue each other in this fun and thrilling story. Karen Witemeyer does an excellent job building relationships. I have never been disappointed with one of her books. The dialogue and feelings shared between the characters is interesting and believable. Full Steam Ahead is definitely one of those books you wish someone would make into a movie. Because I devoured this book like a piece of chocolate cake, I will read it again! 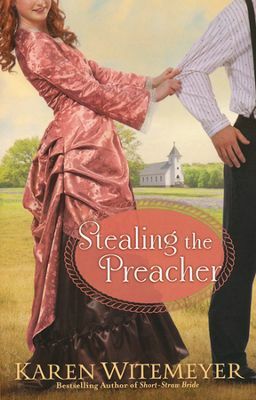 I was given a copy of this book from Bethany House in exchange for an honest review. I have not been compensated and all opinions are my own. I also highly recommend these other titles by Karen Witemeyer! If you have never read a book by Karen Witemeyer, any of these would be a great place to start!